The NBA playoffs start tomorrow, and they are the absolute best time of year. To celebrate that, here are some of our favorite moments from the playoffs in rotoscoped animation. Special thanks to Blockhead for the beat, which makes me want to punch a building in half. Patrick Truby is a writer and illustrator living in Portland, OR. You can follow him on Twitter here. 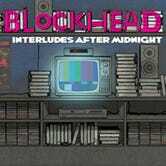 Blockhead is an NYC based hip hop producer. He has 5 solo albums on Ninja Tune records and has worked with rappers such as Aesop Rock, Cage, Atmosphere, Billy Woods, Murs, Illogic and many others. Follow him on Twitter and Instagram, or check him out on his blog, Phatfriend.com.